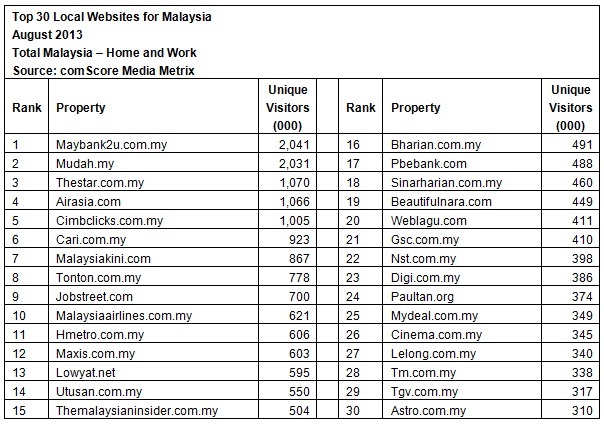 Malaysian Digital Association (MDA), the representative body for online publishers, advertising agencies and digital service providers in Malaysia and comScore, has released its monthly ranking of Malaysian web activity of the top 30 Malaysian online properties for August 2013. The rankings are based on data from the comScore Media Metrix service. 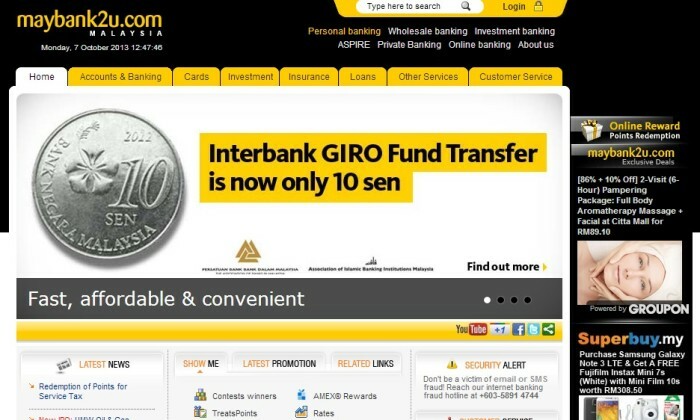 From the top 30 local websites ranking, Maybank’s consumer portal Maybank2u.com.my ranks first with 2,041,000 unique visitors followed by property portal Mudah.my and news publisher Thestar.com.my, respectively. More than half of the local websites in the top 30 are in the categories of news, finance, entertainment, indicating the popularity of these categories to the local users. 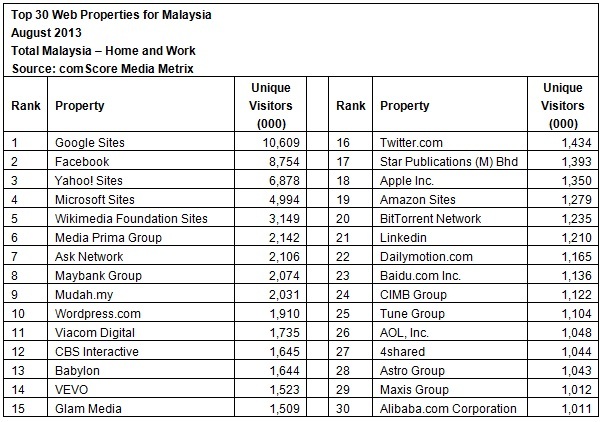 From the top 10 properties for Malaysia, more local players are featured in the top 30, with Google sites tops the list with 10,609,000 unique visitors, followed by social networking website Facebook and search engine Yahoo! sites. 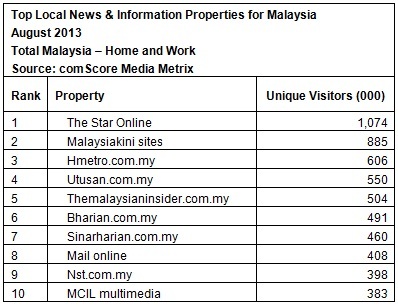 The Star Online, Malaysiakini and Harian Metro have maintained its positions at the top of the news publishers list. Since August 2012, overall reader engagement in the category has also increased as the average minutes per visitor grew by 12% to 34.8 minutes. For Malaysia, comScore Media Metrix reports are based on data from more than 150,000 people under measurement. MDA appointed comScore as its official internet audience measurement provider for Malaysia in July 2013. While feature phones are still dominant in some emerging markets, most marketers are gearing up to make use of smartphone mobile t..
Brands are constantly looking for ways to better engage with consumers, but it may come as a surprise to learn that we already kno..